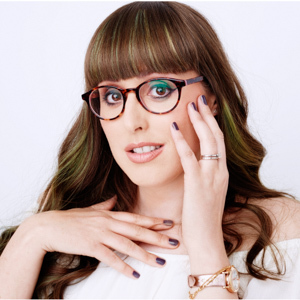 Normally for me it is the autumn/winter campaigns that really brings the fashion alive, maybe I say that because for me the winter collections are what I love to see on the catwalk, but these five fashion houses are really making me love spring/summer with their incredible fashion ads. There is a stripped back feel to all the campaigns this season, I don’t mean that there isn’t as much money pouring into them or that they are less creative, just that the clothes are doing the talking rather than a celebrity face, well except Julia Roberts, who even appears in complete contrast to her perfume ambassadors days in a make-up free shot for the Givenchy campaign. There is a hint of darkness in some, especially Valentino and Prada, as well as oozing coolness from the likes of Chloé and Coach. It was hard to pick just five campaigns to be honest as I absolutely love Kit Harington for Jimmy Choo, Joan Didion showing that age is just a number for Celine and Naomi Campbell and Jourdan Dunn looking stunning for Burberry. 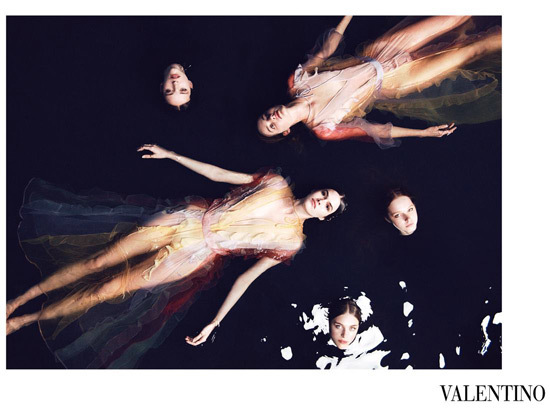 First up Valentino, not only are they gorgeous, as always, I love the cinematographic vision of this campaign, as well as the darkness and the beauty of the floating models. But what I absolutely love about this campaign is that it isn’t shot by Steven Meisel, or Tim Walker, or Mert Alas and Marcus Piggott, which don’t get me wrong I adore, but I am so pleased to see a major fashion house tapping a relatively unknown photographer in Slovakian Michal Pudelka to helm their spring/summer 2015 campaign. Shot in Tuscany on the beaches and in the woods of Punta Ala, there is something mesmerising and spooky about this campaign, as well as poetic and romantic that I adore and I really think it standouts out from the rest. In total contrast with have an uber cool campaign from Coach, shot by Steven Meisel his second campaign for the New York-based accessories and apparel brand, and I really think it showcases British designer Stuart Vevers‘ updated vision for the brand to make it equally about the bags as well as clothes, while adding that laidback cool feel, which really comes across in the muted pastel palette of the group shot. Plus can we please also discuss how incredible Valery Kaufman looks? For me, she is one of the hot models of the moment. Normally ad campaigns are filled with celebrities, not that I don’t like that, but I feel that Julia Roberts for Givenchy, shot by Mert Alas & Marcus Piggott is different, maybe it is because they are in black and white, maybe it is because she isn’t wearing any make-up, or maybe it is down to the fact they deliberately avoid using her famous smile in the images. Like with Valentino, there is a darkness to the images while still having that sexiness that Julia is known for, as well as a hint of masculinity, the pants suit shot has to be my favourite. But I think what makes this a great campaign, styled by Katy England, has to be how honest it is, which is unusual in the fashion industry. I just adore that it isn’t the Pretty Woman Julia Roberts that everyone expects and loves, for me this is a so much better, I really think she looks beautiful. Prada is always one of my favourite campaigns, do you remember the chic gas station from a couple of seasons ago, and the chess board setting? I feel that Miuccia Prada and Steven Meisel really make a great team and this is another strong campaign that really is a lot moodier than you expect from Prada, which is probably why I like it even more. I really do love the offbeat details from this campaign such as the wet-look, matted hair, the haunted looks on the models faces, as well as the odd placement of the accessories, which works well with the contradictory storyline of a woman that exudes confidence, is uninhibited and carefree, while still remaining in control. The black and white images are my favourite, especially the seductive bedroom scene, where she has just casually flung herself onto her bed, as well as the graffiti pastel backdrop you can just about make-out. The campaign really does highlight how strong the Prada bag collection is this season. OK, so this isn’t the most creative or technical of campaigns, but it is the one each season I gush over, as one day I hope that I will be a Chloé girl and that I too will be able to pull off that 70’s vibe. Basically, I have a serious girl crush not only on the brand but on the perfect Chloé girls that model the campaign, which this season is the gorgeous Caroline Trentini and Eniko Mihalik, who both just have a nymph-like quality about them floating down the sandy beach in their maxi dresses. As well as the beautiful models, this campaign, shot by Inez van Lamsweerde and Vinoodh Matadin also has the most stunning setting in Paradise Cove, California, which has so been filed away in my wanderlust folder on Pinterest, the striking horses, as well as the chic Drew bag that is high on my SS15 wishlist. This campaign is basically the idyllic summer I dream of each year. For more SS15 campaigns head on over to the Fashionista Barbie Facebook page.